For teeth that are chipped, discolored, cracked or misshapen, dental bonding can often provide an excellent solution. Cosmetic dental bonding has been utilized in dentistry for decades. It is a versatile, adaptable, and highly-functional treatment that can be effective for a variety of common dental concerns. Our cosmetic dentist, Dr. Harold A. Pollack, and his experienced dental team can help you renew both the form and function of your teeth with this convenient procedure. Dental bonding utilizes composite dental materials that are meticulously applied to the surface of the affected tooth. The material is color-tinted to match the appearance of surrounding teeth, which helps create a virtually seamless blend. Dr. Pollack will place the durable dental resin on the tooth and then carefully shape and sculpt it for the most natural look and feel possible. Then, the bonding material will be exposed to a special light that will harden it to the surface of the tooth for long-lasting results. Finally, Dr. Pollack will buff and polish the bonding material to provide the finishing touch and a new, beautiful smile. Cosmetic dental bonding procedures can typically be performed in a single office visit. 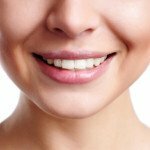 For patients who may not need porcelain veneers or crowns to achieve their goals, dental bonding can offer a quick and effective solution for enhancing both form and function of the teeth. If you would like more information on dental bonding treatments, or if you would like to schedule a consultation here at Beautiful Smiles, please contact us today.